Home / FAQ / What are tags? To organize your drills we use tags. When tag's are added to drills they appear in the tags folder. 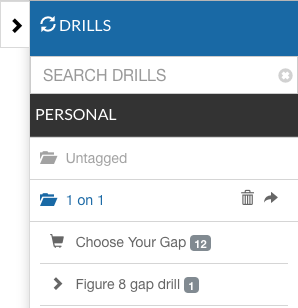 A Drill can be found in multiple folders depending on how many tags are attached. For example... A 1 on 1, regroup drill. That drill would appear in 1 on 1 and Regroup folder.